PAUL SIMON’S HEARTFELT tribute to Seamus Heaney appeared on the New York Times website on the day of the poet’s death last Friday. The piece, in which the songwriter speaks of Heaney’s “verbal virtuosity, his wit and Irish charm” has been getting renewed attention on Twitter in Ireland today as may people read it for the first time. Simon, a frequent visitor to Ireland, speaks of his visits to the poet’s home in Dublin, and the pair’s “continued conversations at my place in Manhattan”. Popular culture likes to house songwriters and poets under the same roof, but we are not the close family that some imagine. Poets are distant cousins at most, and labor under a distinctly different set of rules. Songwriters have melody, instrumentation and rhythm to color their work and give it power; poets accomplish it all with words. 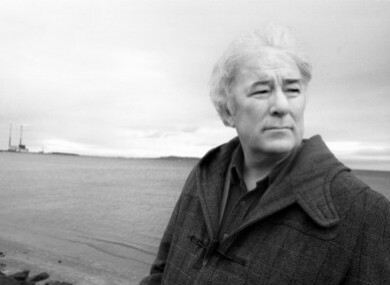 Simon writes of Heaney’s “directness and simplicity”, describing it as “a virtue most writers aspire to but rarely achieve”. Obviously, I’m a fan even more of the man than the poetry, though there are few poets I would rank as his equal. Email “Have you read Paul Simon's moving tribute to Seamus Heaney yet?”. Feedback on “Have you read Paul Simon's moving tribute to Seamus Heaney yet?”.